Be careful how you leave relationships. How you leave determines whether you can come back. Yvonne Chase. One of my rules in life is to never bad mouth an ex and to leave relationships with grace and on as much of a good note as humanly possible. Bad mouthing an ex in my mind would be the equivalent of bad mouthing me after all, I chose him. No one put a gun to my head to date any of the men I’ve dated. In addition, why bad mouth him now that the relationship is over? You weren’t bad mouthing him when you were together and if you were, why were you with him? Furthermore, bad mouthing him says more about you than it ever will about him. I recall a time when I ended a relationship. Because his feelings were hurt to the core, he began to make up things about me and try to tear me down. It was unbelievable! You see, when we were together, I never imagined him having such a nasty side to him. I had no idea he could be so mean and unkind. It took a breakup to see who he really is and what he’s capable of. People say you should never go back to an ex. We’ve all heard things like; he’s an ex for a reason or don’t look back, you’re not going that way. I used to be one of those people who did not believe in going back to an ex however, a close friend changed my mind. She and her now husband who are in a very loving relationship were exes at one time. They broke up because they simply couldn’t see eye to eye. Nothing bad happened in their relationship back then, they just kept bumping heads and she eventually ended the relationship. Two years later they met up at a time and space in their lives where they were on the same page and ready to walk the same path. They just celebrated ten years of marriage. Both of them were of the mindset that you don’t ever go back to an ex. Funny how life happens sometimes isn’t it? She says they needed those two years apart to develop into better human beings. He agrees. When they got back together, they didn’t try to rebuild what they had. Instead, they had the skills to create something new. The time apart gave them a chance to really forgive each other and let go of old hurts. Although he was butthurt when she ended the relationship, not once did he bad mouth her or talk badly about their relationship to anyone and neither did she. Neither of them knew they would ever get back together nor did they expect it, as a matter of fact, there was no communication or contact during the break-up. They had both moved on with life and just so happen to cross paths. One of the things that made it easy to get together again was they both learned valuable lessons from the past and changed the behaviors that caused the breakup. P.S. neither likes to say they got back together. Instead, they tell everyone they started anew. Today, they have a much greater love because of their breakup. There are a lot of hard and fast rules out there about getting back together with an ex. Each circumstance is different. I recall a time when an ex-wanted to get back together with me. He apologized profusely and said he realized the error of his controlling inflexible ways. Sure his apology seemed very sincere and I could tell he realized the error of his ways, however, I didn’t go back because I felt in my spirit that the only reason he really wanted to get back with me is that he hadn’t met anyone else and he was lonely. Not a good reason. Listen, once you and your person know you are starting anew for all the right reasons, I say go for it and tread lightly to avoid making the same mistake twice. With all the great advice out there, when all is said and done, you are the only one who knows what’s best for you. What say you? Is getting back with an ex ever a good idea or should an ex always remain an ex? I try to infuse a dose of godly wisdom in every post. His word has the answers to how we are to be in all of our relationships. Thanks for the invite to your link up. I added my link today. This post came about because I was actually in the presence of someone bad mouthing her ex. It’s something I’ve vowed never to do. We chose that person at some point in time. Okay, it didn’t work out. Move on in grace and let it be. Bad mouthing an ex is never a good idea. I think its okay to speak about the bad things they did but not okay to speak badly about that person. Like you said, I chose him. Speaking badly of him speaks volumes about me. Great point. Speak about the bad without speaking badly about the person. I think not bad mouthing someone applies equally well for friends we need a break from as well. I’ve had toxic friends who I had to distance myself from for a season—but I refrained from speaking ill of them and a few years later, when we were in a different season, we were able to renew our friendship on a healthier footing. You’re so right. It applies across the board in all of our relationships. We can speak about the bad that happened as commenter Trina said up top without speaking badly of that person. So great that you were able to renew an old friendship on a healthier footing. That might not have been possible if there was bad mouthing. Excellent insight! Thanks so much for sharing this. Yvonne, I’m so glad that your friend’s experience is an example that maybe the ‘hard and fast’ rules are meant to be just that. I love that they chose to start anew and I agree that every relationship is different and should be considered on its own merit. Finally, thanks for reminding us of the godly connection. Our lives, relationships and even break ups should reflect our godly character. Advice to me is like Yelp reviews. Take it all in with a grain of salt then do what’s best for you. 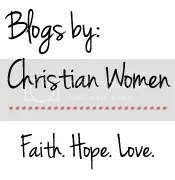 Yvonne Chase recently posted…Where Did You Get Your Ideas About Marriage? Very good ideas with a lot of wisdom and a great verse. The Blogger’s Pit Stop will feature your post. Thanks for sharing and well done.